Scientists are just beginning to discover the full richness of deep-sea life. Yet already a number of companies and countries are exploring the deep ocean for minerals and developing the technology to mine some of the last untouched areas of our planet. Much of the commercial interest is focused on deposits of cobalt, copper, nickel and manganese found in nodules that lie on the deep seabed in an area known as the Clarion-Clipperton Fracture Zone (CCZ). Imagine what mining would look like. To collect commercially viable quantities of the metals in the CCZ, a single 30-year mining operation in the area would churn up an estimated 9,000-10,000 km2 of seabed – an area the size of Lebanon. Sediment plumes generated by the activity would fill the surrounding waters and be carried away by deep currents, reaching ecosystems far beyond the mining site. The noise and light of the subsea machinery could cause harm to marine organisms adapted to the quiet darkness, while large quantities of wastewater with residual ore and sediment would be discharged back into the sea. The CCZ is located in the eastern Pacific Ocean between Mexico and Hawaii, beyond the maritime jurisdiction of any country. This area, like all other international stretches of the seabed, is managed by the International Seabed Authority (ISA), a global body established by the UN Law of the Sea. The ISA is now developing regulations that would permit mining on ‘behalf of mankind as a whole’. ISA member countries have set a target date of 2020 to finalize the regulations in order to be ‘open for business’. In the meantime, the ISA has already handed out 29 licenses to explore for deep-sea minerals, covering some 1.5 million km2 of the Atlantic, Indian and Pacific Oceans. Sixteen of these licenses are in the CCZ. Proponents often claim that mining the international seabed is essential for the manufacture of electric batteries, wind turbines and other technology needed for a renewable energy economy. A 2016 report by the Institute for Sustainable Futures refutes this claim. Having reviewed global supplies and projected demand for metals considered key to renewable energy technology, the report concludes that even under the most ambitious scenario – a 100% renewable energy economy globally by 2050 – projected demand could be met by existing terrestrial mining, improved metals recycling, alternatives to metals in short supply, and smarter technology and product design. The report was cited in the World Bank’s recent assessment of future metals needs for renewable energy technologies. Cobalt in particular, used in batteries for everything from phones to electric vehicles, is often cited as a reason to open up the deep sea to mining. There is growing concern over erratic supplies, poor working conditions and the use of child labour reported in mines in the Democratic Republic of Congo (DRC), where 60-70% of the global cobalt supply is sourced. To address these issues, several global entities, including BMW, Umicore, Trafigura, the African Development Bank, and the US Department of Labor, are working on the ground and in the marketplace. Some major battery manufacturing companies like Tesla and Panasonic have committed to phasing out cobalt over the coming decade. Others are actively investing in research and development for substitutes. The success of these efforts remains to be seen. 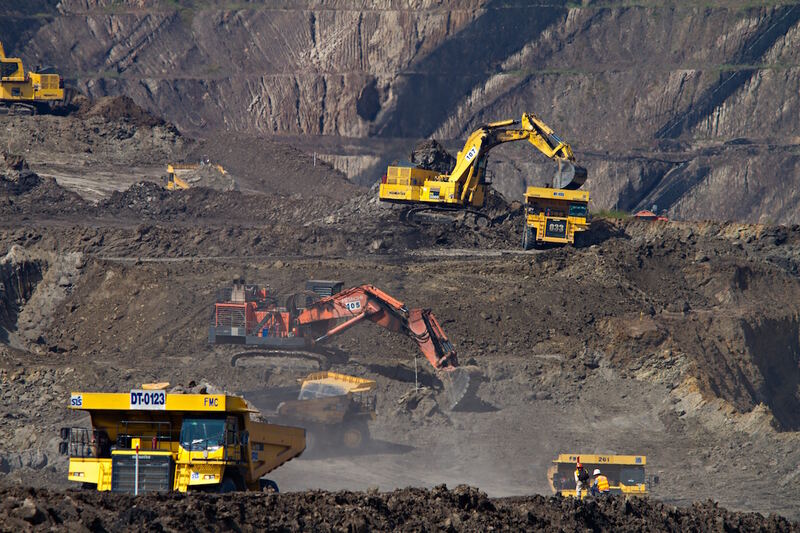 But direct engagement with the sector in the DRC and working on improved sustainability and standards within the current supply chain are more likely to address problems with terrestrial mining than opening up a new deep-sea industry with its host of new risks and impacts. 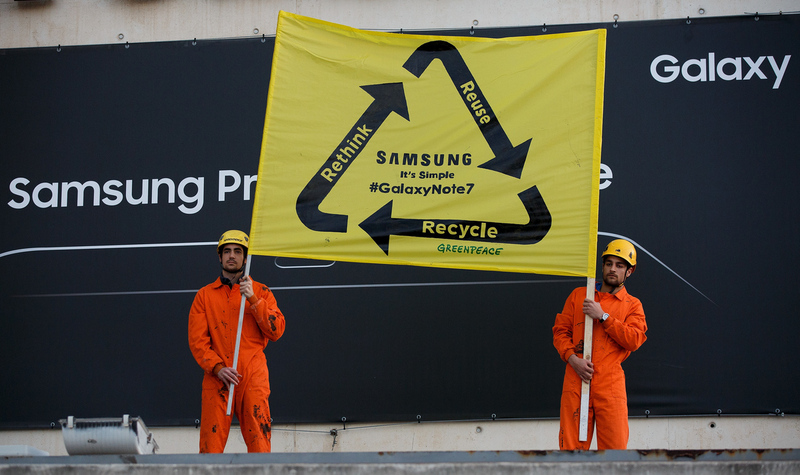 Great promise or great extinction? A 2018 submission to the ISA signed by 50 non-governmental organisations questions whether deep-sea mining can ever be compatible with countries’ obligations to protect and sustainably manage the oceans. Recent articles published in international scientific journals argue that biodiversity loss from deep-sea mining is likely to be inevitable and irrevocable, and that most of this loss would be permanent on human timescales. This sentiment is beginning to gain political traction. The European Parliament adopted a resolution on international oceans governance in January 2018, calling for a moratorium on deep-sea mining until the risks to the environment are fully understood. This call was repeated by the UN Envoy on Oceans at the recent World Economic Forum meeting in Davos. Concerted international efforts to halt and reverse biodiversity loss are critical to the survival of life as we know it. The international community of nations should not agree to permit deep-sea mining on the global ocean commons until the risks are fully understood and we are certain that it will not open up a whole new frontier of ecosystem degradation, biodiversity loss and extinction. 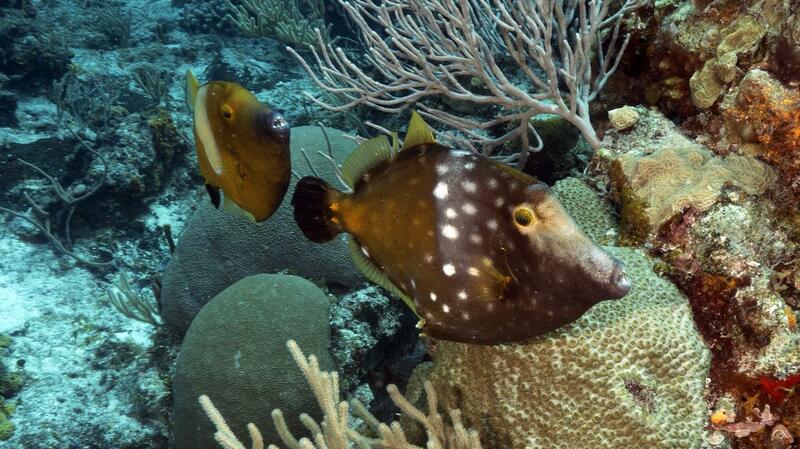 For more from Matthew and Sian, follow the Deep Sea Conservation Coalition on twitter at @DeepSeaConserve. There is growing interest in opening up the deep-sea to industrial mining for copper, nickel, cobalt, gold, rare earths and other metals. But at what cost? The International Seabed Authority (ISA) is meeting this week to discuss a strategic plan for the development and regulation of mining in the deep ocean beyond national waters. The ISA was established in 1994 under the United Nations (UN) Convention on the Law of the Sea. It is responsible for deciding whether, how and under what conditions, mining could be permitted in the international area of the seabed, an area equal to about a third of the earth’s surface. The ISA has already issued 29 contracts to companies and state agencies from China, Korea, Japan, UK, Germany, Belgium, France, Russia, Brazil, India, Poland and a number of South Pacific countries to explore for metals in the Pacific, Atlantic and Indian oceans. But the deep-sea is increasingly recognised as one of the largest reservoirs of biodiversity on the planet and critical to supporting planetary ecological systems. This first World Ocean Assessment report, published by the UN in 2016, also concluded that deep-sea ecosystems are already stressed by climate change, pollutants, and other human activities. Even plastics are making their way into the deep ocean. A recent study found plastics in the stomachs of fish in depths of 11,000 metres – the very deepest parts of the ocean. Several scientific papers published in the past year have concluded that if deep-sea mining is allowed then biodiversity loss is inevitable. This is because many deep ocean species are long-lived, and ecosystems will struggle to recover, or may never recover, from mining impacts. 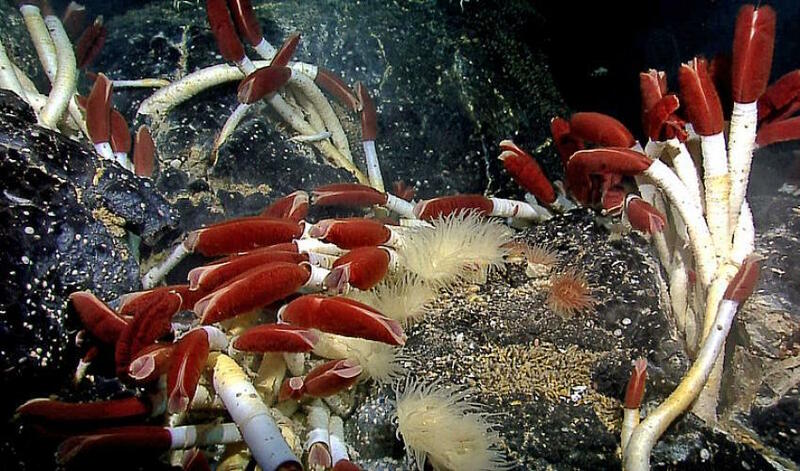 Other studies have pointed to the uniqueness of deep-sea hydrothermal vent ecosystems that harbour chemosynthetic life forms such as giant tubeworms. These recent discoveries have vastly broadened our understanding of how life has evolved on our planet. The vents also form mineral deposits known as polymetallic sulfides. 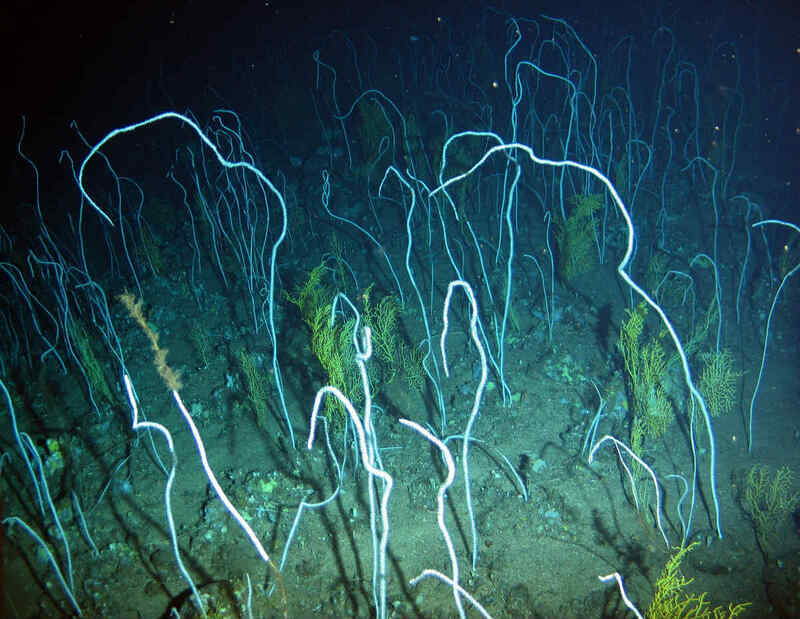 The ISA has issued exploration licenses for these, but if active vents are mined then the life that thrives in these rare ecosystems will be destroyed. Given the role of the deep-sea and the vulnerability of species and ecosystems to long-term and potentially irreversible damage, it is important that we first understand the risks before deciding whether, and under what conditions, deep-sea mining could be permitted to occur. This is the essence of a resolution adopted by the European Parliament in January of this year, which called for a moratorium on deep-sea mining until the risks are fully understood. The Parliament also called for greater transparency by the ISA so that it ensures “effective protection” of the marine environment. This, after all, is its obligation under the Convention on the Law of the Sea. The ISA is also charged with acting for the “benefit of mankind as a whole” as the global steward of the international seabed, referred to in international law as the “common heritage of mankind”. The UN’s 2030 Sustainable Development Goals (SDGs), adopted in 2015, commit all countries to rethink their economies, their use of the earth’s natural resources, and the protection of our oceans and wider environments in the context of sustainable development. SDG 14 commits all nations to conserve and sustainably use the oceans, seas and marine resources for sustainable development. We need to conserve the ocean and we need to be investing in reusable technologies, recycling, and better product design to ensure we make the best use of the resources we have. SDG 14 also commits nations to protecting and restoring ocean ecosystems and enhancing their resilience to be able to better survive the harmful effects of climate change. The Chinese government has repeatedly told the ISA that it needs to take time for careful consideration and scientific study, while other voices are clamouring for rapid action and adoption of regulations to allow deep-sea mining. China Ocean Mineral Resources Research and Development Association (COMRA) recently held a workshop in Qingdao to start development of a Regional Environmental Management Plan (REMP) for an area of the western Pacific where China, Russia, Japan and Korea have exploration claims for cobalt crust mining on seamounts. REMPs are essential environmental tools to assess the regional characteristics and environmental needs. Countries must seriously weigh whether deep-sea mining is consistent with the Sustainable Development Goals and their obligations under international law. Is it worth the risk of significant biodiversity loss and the degradation of deep ocean ecosystems? This is a debate that should occur this week at the ISA and within the broader international community of nations as a whole. The future of our oceans is at stake. Regulations under development at the International Seabed Authority (ISA) to manage deep-sea mining are insufficient to prevent irrevocable damage to marine ecosystems and a loss of unique species – many yet to be discovered, an IUCN report warns. The report, Deep seabed mining: a rising environmental challenge, provides a comprehensive overview of deep-sea mining and its potential environmental impacts. The report was launched today, coinciding with the 24th session of the ISA, whose aim is to agree on a ‘mining code’ to regulate the exploitation of the deep seabed. According to the report, an effective regulatory framework is needed to avoid lasting harm to the marine environment, based on high-quality environmental impact assessments and mitigation strategies. These, in turn, must be based on comprehensive baseline studies to improve the understanding of the deep sea, which remains understudied and poorly understood. The mining code currently under development lacks sufficient knowledge of the deep sea and a thorough assessment of environmental impacts of mining operations that are necessary to ensure effective protection of deep-sea life, according to IUCN experts. “We are operating in the dark,” says Carl Gustaf Lundin, Director of IUCN’s Global Marine and Polar Programme. There is growing commercial interest in deep-sea mineral deposits as a result of projected rising demand for copper, aluminium, cobalt and other metals. These resources are used to produce high-tech applications, such as smartphones, and green technologies, such as electric storage batteries. Though there is little empirical evidence of the impacts of deep-sea mining, the potential impacts are worrying. These include direct physical damage to marine habitats due to the scraping of the ocean floor by machines – similar to clearcutting a forest – and the stirring up of fine sediments on the seafloor that can smother animals and cloud the water. Additional impacts include toxic pollution due to leaks and spills, noise, vibrations and light pollution from mining equipment and surface vessels. By May 2018, the ISA – which has the dual mandate of promoting the development of deep-sea minerals whilst ensuring that this development is not harmful to the environment – had issued 29 contracts for the exploration of the deep sea. Commercial mining in international waters is expected to begin no earlier than 2025. Exploratory mining in the national waters of Japan started in 2017, and commercial mining is predicted to occur in Papua New Guinea by 2020. “With regulations for commercial deep-sea mining currently under development, we are facing a unique window of opportunity to ensure that potential impacts of these operations are properly assessed, understood and publically discussed,” says Kristina Gjerde, IUCN’s Global Marine and Polar Programme senior advisor on the high seas. 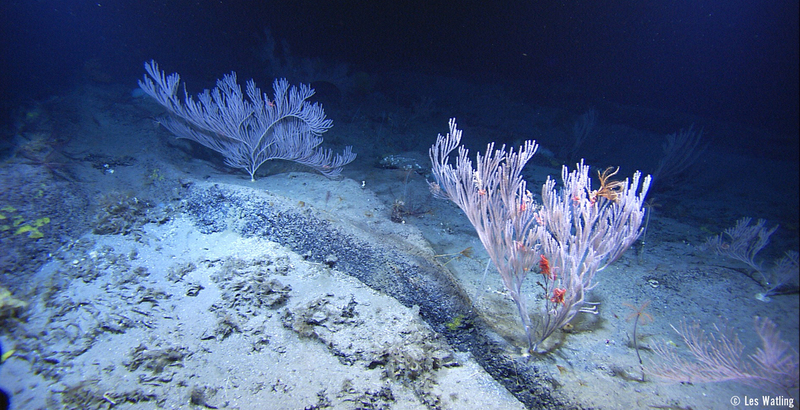 Deep-sea mining is the process of retrieving mineral deposits from the deep sea – the area of the ocean below 200 m. The area covers about 65% of the Earth’s surface and harbours a rich diversity of species – many unknown to science – which are uniquely adapted to harsh environmental conditions. It also includes unique geological features, including the Mariana Trench – the greatest depth registered in the ocean. The 24th session of the ISA is taking place from 2 to 27 July in Kingston, Jamaica. Almost 44 years ago, on July 4, 1974, CIA launched a covert sea operation with an aim of stealing Russian submarine, K-129 a ballistic nuclear missile carrier, almost 2,500 km from north-west of Hawaii, six years ago. To divert the attention of Russian spies and give the operation a deliberate spin, CIA under the garb of harvesting rocks in the seabed launched an operation-Project Azorian. Nature has been a source of incredible wealth. From times immemorial, mankind greedily plundered nature for material gains. Breaching yet another pristine frontier, countries are making plans to ransack deep blue seas. Termed as Deep-Sea Mining (DSM), employing advanced technology, at breath-taking pace nations are vying to harvest nodules and rocks that constitutes the seabed. DSM entails extraction of minerals located 400 to 6,000 metres below the sea level. Outwardly, while the vessel was fitted with all the machinery needed for excavating the seabed, Hughes Glomar Explorer housed a monstrous capture vehicle with a giant set of claws to retrieve the submarine and keep it hidden. By July 30, away from the prying eyes of the world, Americans located the submarine. But the capture vehicle suffered a damage while lifting the submarine. The giant claw broke under immense strain midway and most of the submarine slipped back. In the run-up to the operation, CIA sent scientists for conferences on ocean mining and roped in billionaire inventor, Howard Hughes, to build a vessel for scientific exploration. The great PR strategy of CIA stuck chord with the US universities, that mulled introducing specific courses on deep sea mining. Even UN jumped in and offered to provide a rules-based approach to determine rights to ocean minerals. The team managed to recover only the front portion. Despite the difficulties and the huge costs involved in carrying out the project, American desperately wanted to steal the submarine for obvious military reasons. To get hold of Russian nuclear missiles and to penetrate their naval communications, unmindful of the consequences, CIA went ahead with this cost prohibitive exercise. When CIA broke the details of the project after a year, mining companies who made extensive plans of mining seas were crestfallen and the stocks tumbled. However, CIA’s success proved that with sophisticated engineering techniques and lavish funds, DSM can be possible. Ever since companies invested heavily in research expeditions to probe the seabed for minerals. For the first time, scientists abroad, Royal Naval Ship, HMS Challenger found that deep seabed contains huge mineral deposits. First dredging exercise revealed the presence of nodules rich in manganese, nickel and iron in the ocean beds of Indian and Pacific Ocean. Soon scientists confirmed that a tonne of the seabed is 10 times richer in mineral content than mines on land. Independent investigations by different teams confirmed this fact who declared sea beds as treasure houses of minerals and Rare Earth Elements (REE). By 1960s, scientists floated the idea that oceans should be used for peaceful purposes and their mineral wealth should be shared equally by the humanity. While the issue of ocean mining hardly evinced any interest in countries then, extensive use of mobile phones, solar panels, batteries, wind vanes, electric cars and other gadgets increased demand for indispensable REE. Nations are now competing for the scarce REE’s in the earth’s core. Owing to the rapid scale of sophistication appetite for Lithium, Cobalt, Copper has surged to phenomenal levels. Pitched battles are witnessed between nations for the limited supply of Cobalt. Republic of Congo, which currently has 60 per cent of global resources has now become a den for corruption, human rights abuse. Responding to Amnesty International’s report that sought a solution for exploitative mining and alleged dominance of smuggling mafia in Congo, Michael Lodge, Chairman of ISA, International Seabed Authority called for a relook at deep sea mining. To streamline various activities related to it. Intergovernmental body, ISA, came into existence in 1994 with headquarters at Kingston. It formulates rules and regulations for mineral-related activities in the international seabed region, the area beyond the limits of the jurisdiction of individual countries. ISA, which has observer status to UN has divided the ocean bed into blocks and 29 exploration areas. Companies from 19 countries have purchased mineral prospecting licences for 15 years as of now. 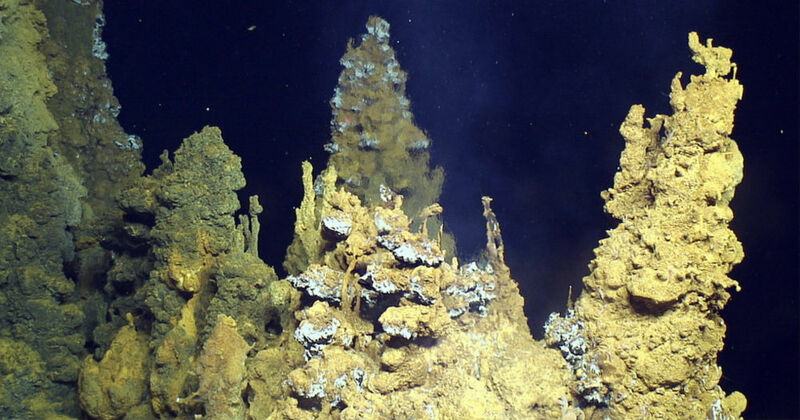 ISA proposed three types of mining – Polymetallic manganese nodules, Cobalt-rich ferromanganese crusts and polymetallic sulphide mining at hydrothermal vents. For the first time, a venture Nautilus Minerals commenced its exploration in Exclusive Economic Zone (EEZ) of Papua New Guinea, Tonga and Fiji after negotiations with respective governments of the Bismarck Sea. While the mining hasn’t started yet, all the preparations for rock breaking are going at frenetic pace. The stretch identified in the seabed is covered by hydrothermal vents, which are shelters for vast communities of extremely rare marine life like shrimps, snails and tubeworms. Use of gargantuan machinery during mining is bound to damage the marine habitat of the region, poverty-stricken countries lured by the attraction of money have accepted the deal. Though the mining company has undermined the fears of residents whose lives and livelihoods are irretrievably linked with sea waters. Disturbed by the impact of the exploratory phase that led to sharp decline in sharks, citizens of Tonga, Papua New Guinea have launched protests and campaigns against DSM. After Japan’s successful attempt to mine ore deposits in 2017, which included – Zinc, Copper, Gold and Lead off the coast of Okinawa close to hydrothermal vents, there is a global rush for DSM. Elucidating the impacts of such mad rush, a paper published in Harvard Environmental Law Review warned nations of the adverse impacts of DSM on the environment, lives of indigenous people and the biodiversity of marine habitat. Hydrothermal vents act as environmental sinks with microorganisms in the vicinity sequestering huge amounts of carbon and methane (Greenhouse Gases). Recently, researchers discovered over 300 animal species endemic to vents making each vent unique. They now hypothesize that perhaps life must have evolved from hydrothermal vents, which can thrive even higher temperatures of up to 113C. Destruction of the vents might lead to the release of sequestered methane triggering a doomsday climatic event. Latest scientific breakthroughs revealed that deep seas absorb the excess heat generated by Greenhouse Gases. Oceans have been instrumental in mitigating the climatic change impacts. DSM, which involves the use of heavy machinery that would chip, scrap and break the rocks. All these events invariably disturb the seabed, generate large sediment plumes and discharge wastes into seas. Till now, mankind irreversibly damaged the oceans and seas through deep-sea oil and gas extraction, discharge of wastes including nuclear wastes, dumping plastics, leakage of oils from vessels, etc. Scientists claim unlike surfaces of Moon, Mars or Venus, which were meticulously mapped, the invaluable diversity of marine life is largely unknown. Mariners are just beginning to understand the climatic role of hydrothermal vents. These geographical formations hold a key to unravel the secrets of evolution and adaptation of life on earth. At this juncture, dishevelling the deep seabed for commercial purposes may be counterproductive and tragic. A historic ocean mineral resource expedition, using the Maersk Launcher, launches from San Diego on April 12 to further a mission to responsibly produce the world’s future metal supply from the deep-ocean floor. This is the first of five offshore campaigns that are part of a strategic alliance with Maersk, one of the world’s largest shipping groups. DeepGreen’s subsidiary, Nauru Ocean Resources Inc (NORI), will be carrying out extensive scientific and resource surveys within a 75,000-km2 contract area of the Eastern Pacific’s abyssal plain, granted to NORI by the United Nations’ International Seabed Authority (ISA). 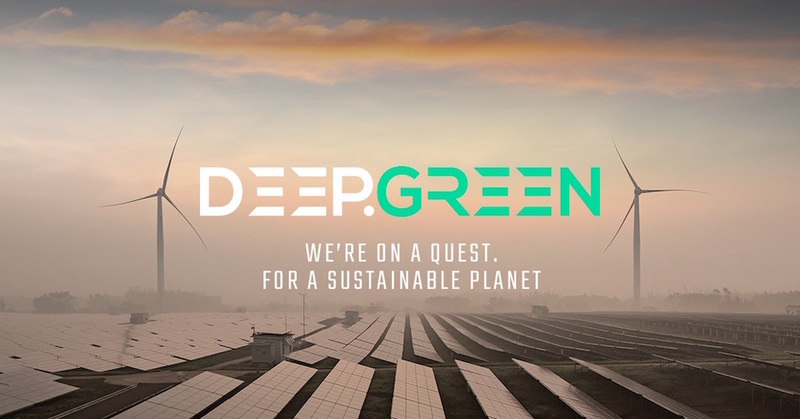 DeepGreen and NORI are developing technology that will allow the responsible production of polymetallic nodules, which sit on the ocean surface, and contain metals in growing demand and critical to global social and economic growth. The intention is that, when collected and brought to the surface using state-of-the-art technology, the polymetallic nodules — usually small enough to fit in the palm of your hand — will be processed for metals such as cobalt, nickel, copper and manganese. Those future metals are becoming increasingly harder and more difficult to find on land, but are in great demand for technologies such as electric cars, battery storage, wind turbines and many more digital technologies essential to a sustainable future. Seabed mining companies are going to wipe out species we don’t even know exist yet. An international group of 15 marine scientists and legal scholars published a letter on Monday warning of the dire effects that the nascent seabed mining industry could have on bottom dwelling marine life. The letter, published in Nature Geoscience, is the latest in a series of increasingly desperate pleas from marine scientists to pump the brakes on mining the seafloor until marine scientists are able to get a better idea of what the effects this industry will have on this woefully understudied area of the planet. 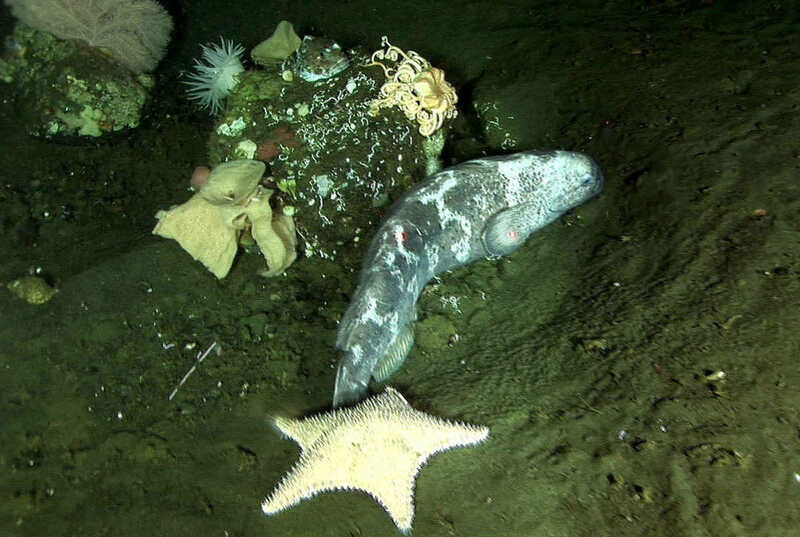 As such, Van Dover and the other signatories on the letter call for the International Seabed Authority, the UN-sanctioned regulatory body for the ocean’s floor, to recognize the risk posed by deep sea mining and communicate this risk to the public at large. Although the deep sea (defined as anything below a depth of about 650 feet) accounts for roughly two-thirds of the Earth’s surface, we know remarkably little about what goes on down there. Dozens of new species are routinely discovered during forays to the bottom of the ocean and the deep sea ecosystem isn’t well understood. Nevertheless, the deep sea has become the site of a new gold rush in recent years. The discovery of a wealth of precious minerals such as nickel and cobalt, in addition to oil and potentially lifesaving molecules have incentivized seabed mining operations to begin exploratory missions to the bottom of the ocean to start staking claims. To get an idea of how this industry is developing, the authors of the recent letter point out that in 2001 there were only six contracts for deep sea mining operations. By the end of 2017, however, there will be 27 deep sea mining contracts. Of these, 17 will be in the Clarion-Clipperton Zone, a region of the Pacific Ocean between Hawaii and Central America. One of the proposed mining contracts alone covers 32,000 square miles, an area larger than the state of Maine. Although some proponents of deep sea mining argue that the effects of this industry can be offset by taking more environmentally friendly measures elsewhere, such as building artificial reefs, the authors of the letter are calling BS. “The argument that you can compensate for the loss of biological diversity in the deep sea with gains in diversity elsewhere is so ambiguous as to be scientifically meaningless,” Craig Smith, a professor of oceanography at the University of Hawaii, said in a statement. “This is like saving apple orchards to protect oranges,” Van Dover added. For now, these contracts remain exploratory as the ISA struggles to establish a deep sea regulatory regime. But as the letter’s authors rightfully worry, it will be hard to establish effective seabed regulations since so little is known about the ocean floor. Until these regulations are in place, however, the authors of the letter call for the ISA to acknowledge that deep sea mining will certainly be harmful to deep ocean biodiversity. According to the authors of the letter, this damage will likely be irrevocable. Even more frightening is that we’d likely never know the full extent of the damage because marine scientists won’t have the opportunity to establish sufficient baseline measurements before the mining frenzy begins.